Cawkwell, Sarah. Heirs of the Demon King: Uprising Abaddon 2014. What if: Richard III won the battle at Bosworth Field. Also, magic works. 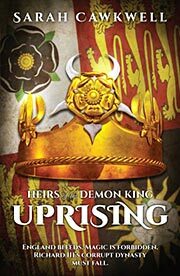 Summary: A century later, a young mage becomes the focus of an effort to overthrow the tyrant Richard V.